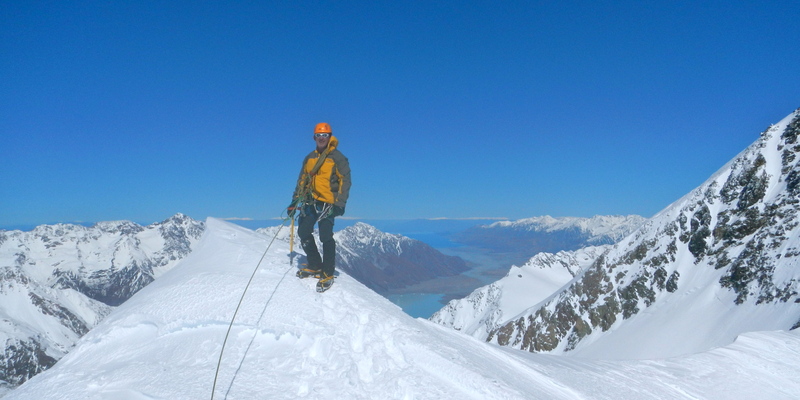 It is been just over one month since I returned from my mountaineering training in New Zealand and I haven’t so much as touched a rope or any of my climbing gear. Mind you I need little encouragement to get “Out and About” in the mountains and with only eight months to go before I head to Nepal I need to be training as much as I can. Unfortunately, my Achilles tendon remains sore although treatment is progressing. I’m working on the basis that rest is best, but it does test the patience! I just need to get an adventure under my belt! 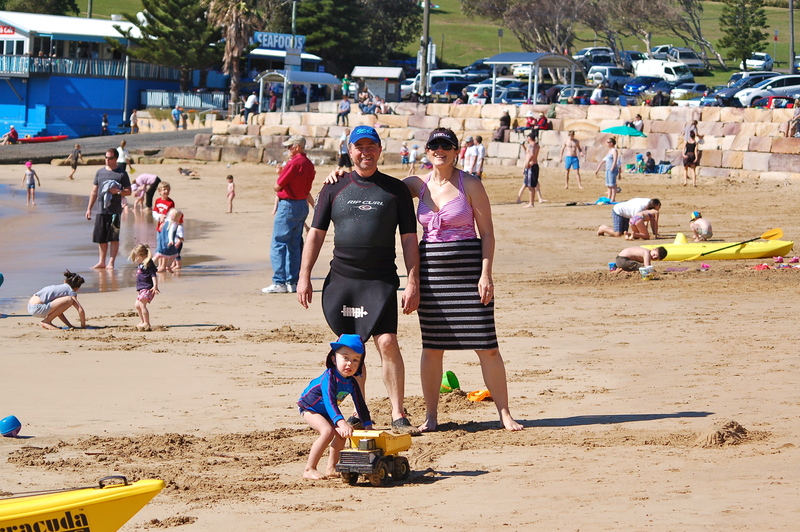 This past weekend we had a visit from Janet’s sister Leah, partner, Ray and their beautiful son, Aubrey. We always look forward to the time we spend together and usually it involves signing up for an adventure or two with Ray. But strewth, I’ve just been doing a list of the things I’ve agreed to participate in and it starts with a trip on the mountain bike this coming weekend. It will take us along a road built by convicts in the early days of European settlement in Australia. It is quite a pretty place, but there are plenty of hills and it won’t be any walk in the park. 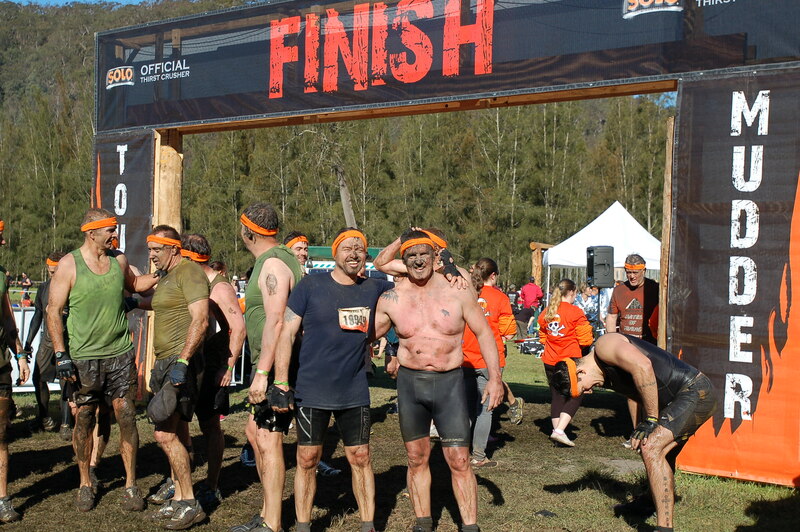 And hot on the heels of that we’ll be lining up for the next Tough Mudder Event in Sydney early April. 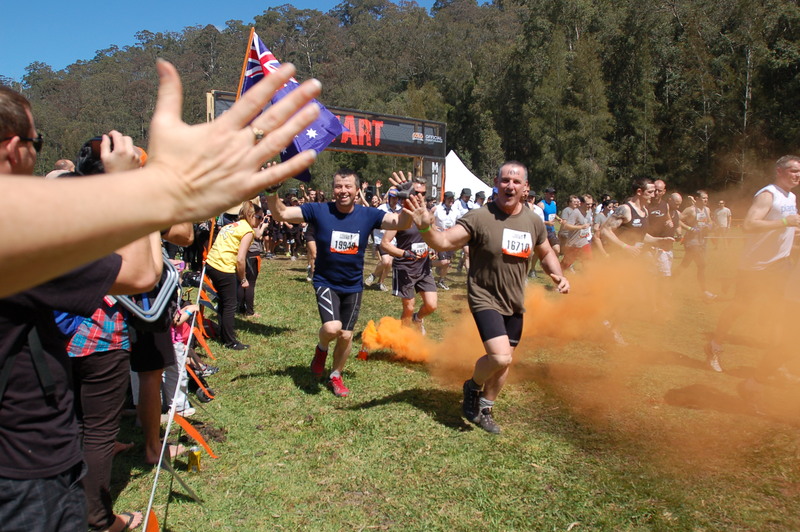 We completed it in September last year, twenty kilometres of running, tackling obstacles, and of course tons of mud, getting zapped by electric charges, running through fire – all good fun, seemingly! 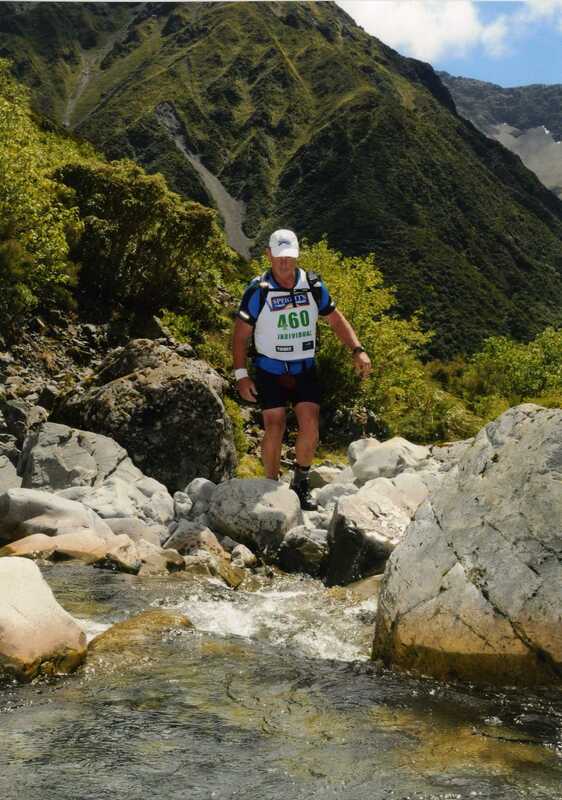 Next, while we were out paddling on the lake early on Sunday morning Ray casually mentioned that I’d better be fit for the Coast-to-Coast Adventure Race across New Zealand’s South Island as he is putting our entries in shortly. 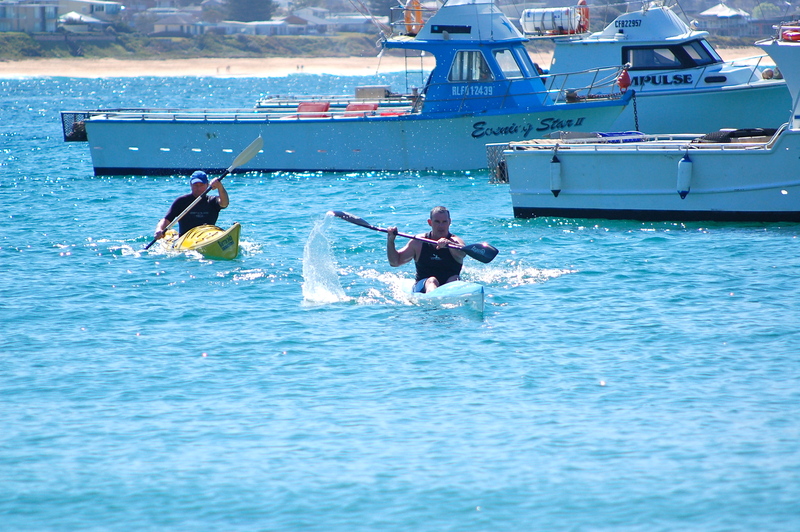 I made him do a 1-kilometre sprint in his kayak after that pronouncement! 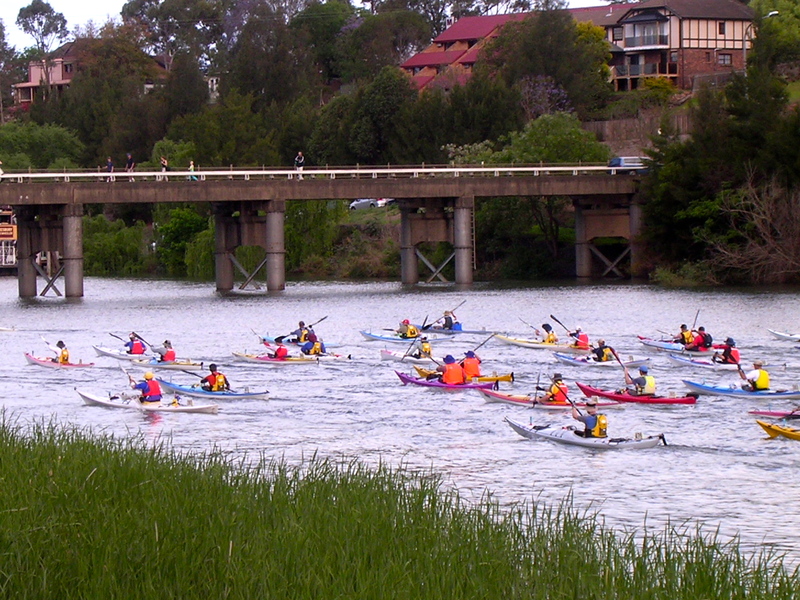 But not to be outdone I raised the ante with all the finesse of a Mississippi River boat gambler and tossed in that we’ll need to do the 111-kilometre Hawkesbury Classic Kayak Race in October as preparation for the Coast-to-Coast race. After all the Coast-to-Coast has a 70-kilometre paddle down the fast flowing Waimak River. One thing is for sure; he’ll come up with something as there is plenty of free time on that calendar still, in between rock climbing in the Blue Mountains, of course. But hey, you’ve got to love this stuff and doing it with mates is what it is all about! Just go easy on me Ray…! Great stuff, Baz! I need to go and lie down, I’m exhausted just reading this! Can’t wait to hear the rest. Thanks, oddly enough I should be up in The Shed training now…but Sunday morning, slow start. On another note, we’re heading out Tilpa way for easter, need to get Out and About! Long weekend here! Gone to the southern beaches myself! Can feel the ‘fuzz’ fading even as I type! Travel safe, Baz. You are a machine! Way to go! Haha! If only…but having fun! I’ve often wondered how you manage to get so much time off. Work to live! Note to self: hope the boss reads this today! Looks like a big year. Can’t wait to read all about it. I’d love to do Coast to Coast in NZ. I haven’t quite got the confidence to travel across the ditch for it just yet … But maybe next year … If I learn how to paddle in white water (I think you need level 2 white water for it from memory). 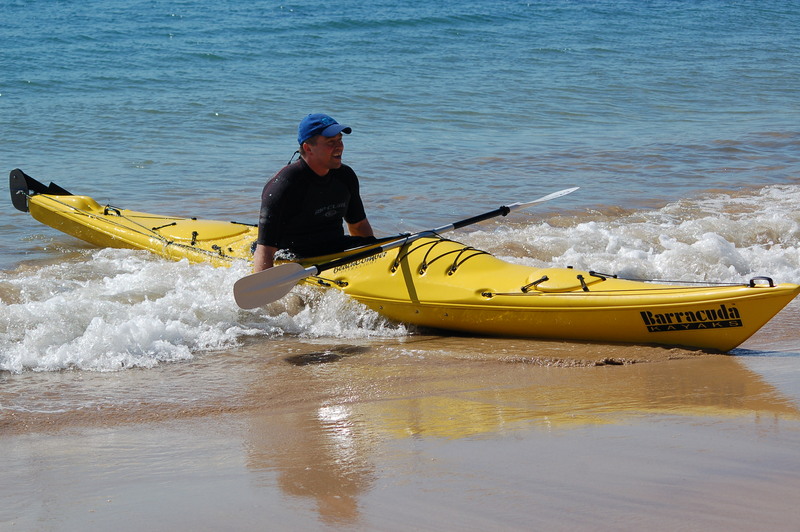 Hi Andrew, yes Level 2 Cert, but you can do courses for that, best way is to paddle on rough water if you can’t access white water…. Wonderful pictures..I feel like I need to go run around the block ! Awesome. Love it out there, might take Milo the wonder dog around the block tonight myself! Oh and how was the Tough Mudder? A friend is trying to get me to do one but I don’t want to ruin my cute shoes! Well firstly, running, kayaking and cycling our way across New Zealand’s Southern Alps, 243 kilometres in around 20 hours was the fall-out of a few (too many) beers! Tough mudder is a great event, there are many versions of it these days, but the original is fantastic. Take it easy and you’ll love it…! A few Captain’s at the end! As long as there’s a few Captains at the end, I suppose I can do anything, huh?! Baz, I love the way you think and am going to start implementing this technique. If you planned all of those adventures sans alcohol, I’d love to see what you guys get into after a couple of beers! !